Karen Keskulla Uhlenbeck (sündinud 24. augustil 1942 Ohios) on Ameerika Ühendriikide matemaatik. 2019. aastal peeti teda esimese naisena Abeli auhinna vääriliseks. Clifford Henry Taubes (2018). 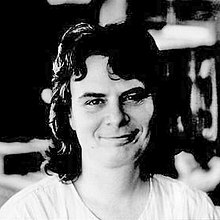 "Karen Uhlenbeck's contributions to gauge theoretic analysis". Celebratio Mathematica. Allyn Jackson (2018). "Interview with Karen Uhlenbeck". Celebratio Mathematica. Karen Uhlenbeck (1996). "Coming to grips with success: a profile of Karen Uhlenbeck". Celebratio Mathematica. Lee Katterman (1999). "Michigan Great Karen K. Uhlenbeck: Pioneer in mathematical analysis — and for women mathematicians". Celebratio Mathematica. Claudia Henrion (1997). "A profile of Karen Uhlenbeck". Celebratio Mathematica. UT News, The University of Texas, Austin (2000). "UT Austin mathematics professor wins National Medal of Science". Celebratio Mathematica. Selle lehekülje viimane muutmine: 19:03, 22. märts 2019.